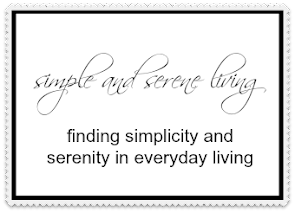 F Simple and Serene Living: can I be heard please? can I be heard please? Most of the time I feel like a little cog in a big wheel. Excuse me I say. Can you not hear me? I am trying to make a point and you aren't listening. Well today I get to have my say. We don't have early voting in Kentucky, so I will brave the lines (thank goodness for my new knee) to make my choice. I hope you will exercise your right to vote too. Was that loud enough? Because even though we may not agree, we all get the chance to make our choice. My voice was heard! I early VOTED! It actually felt odd.....maybe I'm just too old-fashioned about things....but I LOVE TO VOTE! Have a NICE day, Laura! Everyone here is voting! This country needs to get back on track! It's wonderful seeing so many bloggers concerned about getting out the vote! Good for you! I just want to wake up tomorrow and see that Romney won! I'm so done with this presidency and all the politics. I agree and have voted! Wonderful! I love your enthusiasm. I planned my whole day around voting and have already taken care of that privilege. I say the same here (in Canada)!!! I'm voting!! Hope I'm celebrating tomorrow! It's good to see that everyone is going out to vote. The concept of long lineups is something that our smaller population of Canada can't quite wrap our heads around. And thank goodness we have that right. Good for you, Laura. By ten this morning 270 votes had been cast in our tiny precinct of 556. Have a good evening. So glad the voting day is here finally. I voted this morning and feel that I must vote or no complaints allowed. Plus it just feels good to vote! I voted and was glad to do so! My voting place is difficult to get to so I vote absentee. There is a polling place at the school where I teach. My Leadership class decorated cookies in red, white and blue and presented them to the poll workers to thank them for helping our country to have democratic elections. I was impressed with the long lines I saw all day at the polls. No lines here.....it was fun and I ran into friends and neighbors for a great chat. I voted!